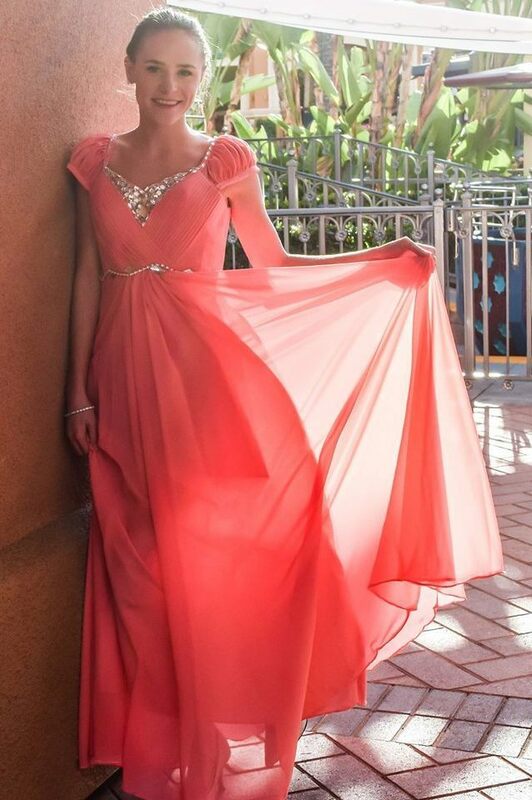 Beautiful peach chiffon and jeweled accenting combine for a perfectly feminine and glamorous look. Jewels, beading and sequins shimmer across the neckline, whilst meticulously pleated chiffon creates a tailored bodice. Jewels dance across the waist of the dress, while the skirt falls in gentle gathers, elongating the silhouette. 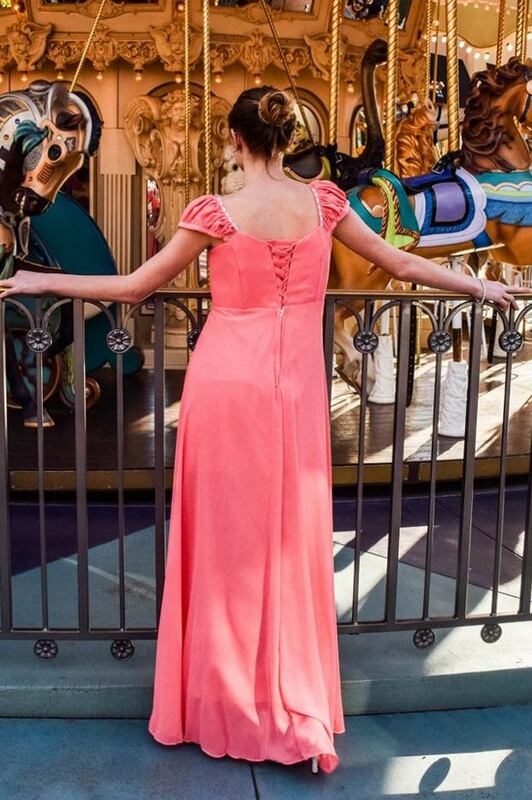 Fully lined in matching satin, Peach has a high square back, complete with a zipper to the waist and a corset up the bodice. 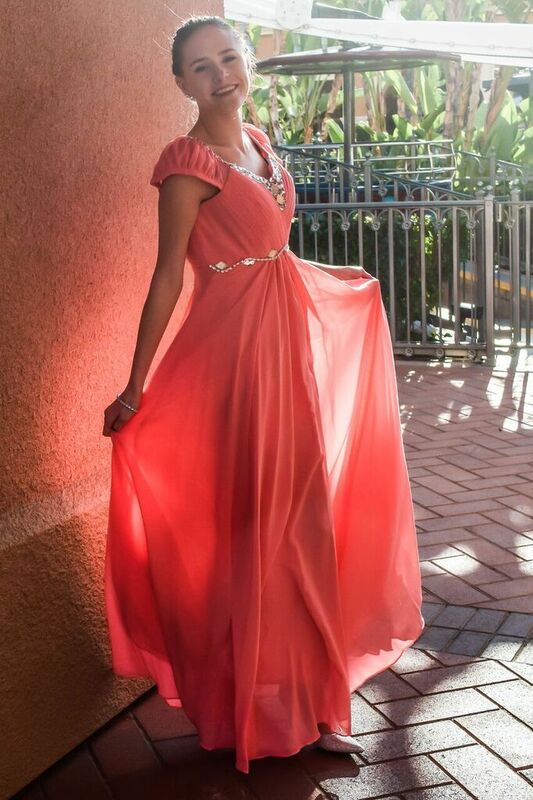 Peach is offered as a limited edition, once sold out this stunning dress will be forever unavailable!